I was scrolling through my Instagram feed when I saw that a blogger, Shelby, was participating in something called #28DaysofPilates. I've always been a little apprehensive about Pilates because it just sounds challenging, am I right? Yet this challenge seemed like a great way to stay active during this month. 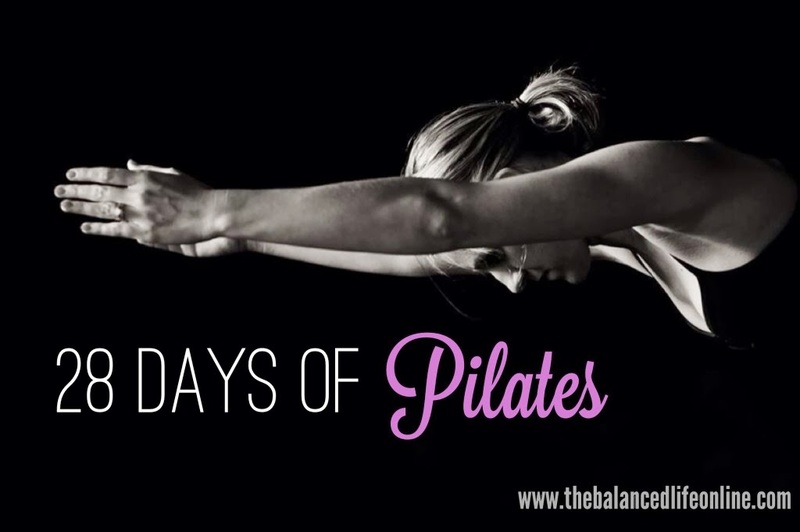 Robin Long of The Balanced Life is doing 28 Days of Pilates on her blog and sharing short Pilates workout videos (for free) every day this month! Such a sweet deal, and comforting for people like me who aren't great at Pilates and don't want to be embarrassed at a fitness class. I started a little bit late, but now I'm all caught up after doing the first 3 workouts last night. My roommate agreed to do the workouts with me, and I really appreciated having her there. The workouts are short, but challenging. I'm already feeling the burn. I haven't had a super consistent workout routine in place for 2014, so this came right on time. I love having structured and diverse workouts, and this will be perfect! If you decide to join, let Robin know by including #28DaysofPilates in your Instagram or Twitter post! Thank you for doing this, Robin! I'm looking forward to the rest of the month!! Catch up by doing the following workouts first or start with today's workout. Have you ever tried Pilates? If so, what'd you think? This sounds great, thanks for sharing!! I'm so glad you're doing it too! I'm so sore from the first few days! Nunca he hecho Pilates, creo que tendré que probarlo! Vaya pinta tiene ese batido, seguro que está buenísimo!!!!! I've heard good things about pilates but never tried it! Good luck! I haven't tried Pilates but have wanted to. I'm looking forward to hearing your updates on this. And that shake looks amazing! Pilates is such a great workout, I love it! pilates is such a great work out! I need to try to get back into it. this looks awesome! might have to give it a go haha!